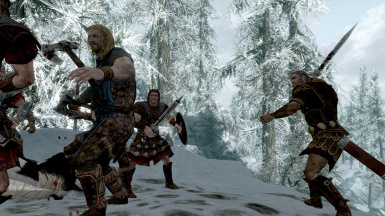 This is an 'Alternate Start' mod where you can start the main quest by trying to cross the Skyrim border... but then you walked into something you wish you didn't. In order for this mod to work as intended, you need to (obviously) create a new save... with a little tweak (see this UESP page for more information). 1. Go to Skyrim.ini (the one in ../Documents/My Games/Skyrim ). You can change HelgenExterior to any cell you want. It will be your starting cell of your new save. 3. Open the game. You will notice that it jumps right into the game without having to choose the new game option, it also prevent the main quest from starting. This mod makes your experience seamless after this point. You can live your life normally as the other alternate start mods. 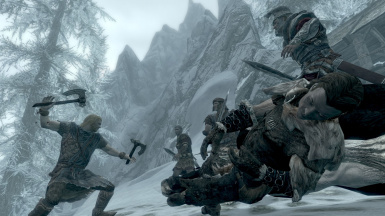 One nice thing is Helgen is not destroyed until you start the main quest. And if you want to start the main quest, you have to travel to the south border gate near Southfringe Sanctum. 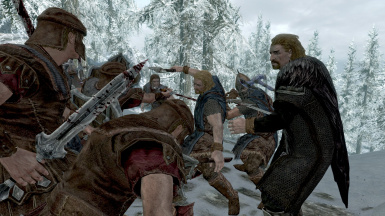 You will see that the Stormcloak is being ambushed by the Imperial troops. Lokir can be found unconscious on the floor with a dead horse. 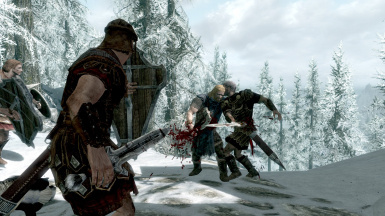 As you approach the battlefield, the scene will cut and you will find yourself on your way to the chopping block in Helgen. Your inventory will not be reset after being captured. 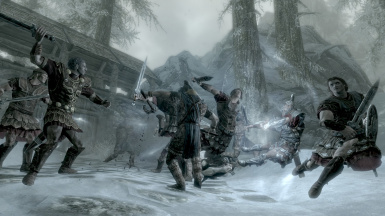 This mod also skip the character creation process and any references about you entering Skyrim (because you were trying to cross out of Skyrim, not into Skyrim, right?). I also change some conversation that refer to the ambush near Darkwater Crossings because it doesn't make sense if you look at the map. Whiterun City is also not closed with the dragons about. If the mod is broken or if you want me to edit something, feel free to tell me.